In KBS Drama channel TV series Glowing She (My Shining Girl), Ji Hyun (So Yi Hyun) saw the top star Kang Min (Kim Hyung Jun) who fell asleep after eating sleeping pill, thought that he wants to commit suicide. In order to deceive the public, she brings Kang Min to the animal hospital for treatment. In order to save Kang Min, she can be said as trying all means, but also let Kang Min suffers a lot of tortures. The scene of top star Kang Min without any gentleman temperament in a difficult situation is provoking audience to laughter. Especially the Kim Hyung Jun who is sleeping is slapped and poured cold water by So Yi Hyun for no reason, and he who only wore a thin T-shirt in cold weather, is pulled and dragged by So Yi Hyun who is shorter than me, the suffering is tragic. 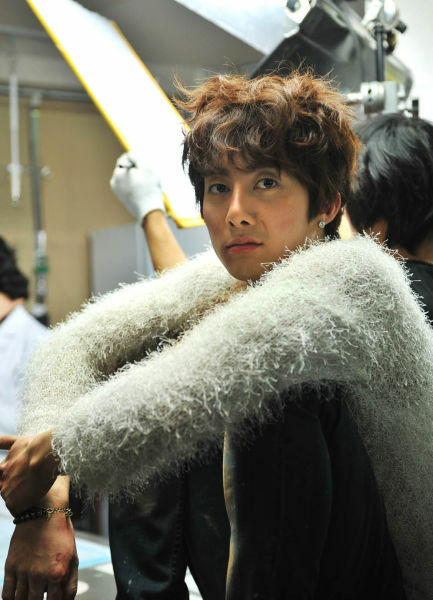 Kim Hyung Jun who acts as the popular idol star with gentlemanliness becomes very miserable for the scene. After watching the drama, audience left messages on the bulletin board of the drama, saying “It’s cute too the look of been insulted,” “The plot is very interesting, I laugh until stomachache,” praising the comedic acting of Kim Hyung Jun. On the episode 7 pf Glowing She broadcast on February 11th, 2012, in addition to the funny scenes of Kim Hyong Jun and So Yi Hyun, the story of him suffers from panic disorder as a singer also been staged.